Remember Ello? It would like you to know it is not dead. It is now a place for creative types. Let me explain. The social networking platform splashed onto the tech scene promoting itself as an ad-free rival to Facebook. Soon millions of people (including yours truly) signed on just to see what all the fuss was about. The platform quickly ballooned to nearly 3 million community members in a short few months. The problem was no one knew what the hell this thing was. The logo was just a black dot with a line to make a smiley face, the UI was sparse and confusing, people couldn’t connect with each other and it wasn’t clear how it was anything like Facebook. Soon interest waned and Ello was left scrambling. Tech reporters were hounded by weak pitches from Ello PR and it became a bit of a joke that this, whatever it was, could take on any social networking platform. Well, now Ello has a new CEO, Todd Berger, who helped co-found the company. He admits all of that Facebook stuff was a huge mistake. “Needless to say I lost a lot of sleep over that window of time,” Berger told TechCrunch. But the site was never meant to go after Facebook, he says. 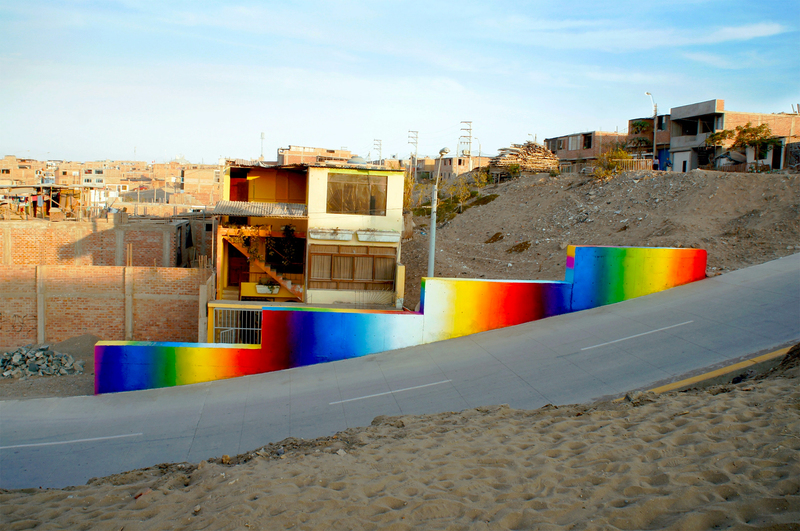 Instead, it was originally created as a place for artists to share their work. As for that other CEO, I’m told he’s gone off quietly to another section of the Ello office somewhere. But he’s definitely no longer in charge. So, what happens when your site blows up and then comes crashing down around you and everyone thinks it died? You pick yourself up and try again. Ello has since stepped back, taken a good look in the mirror and gotten in touch with its roots as a place for creatives. 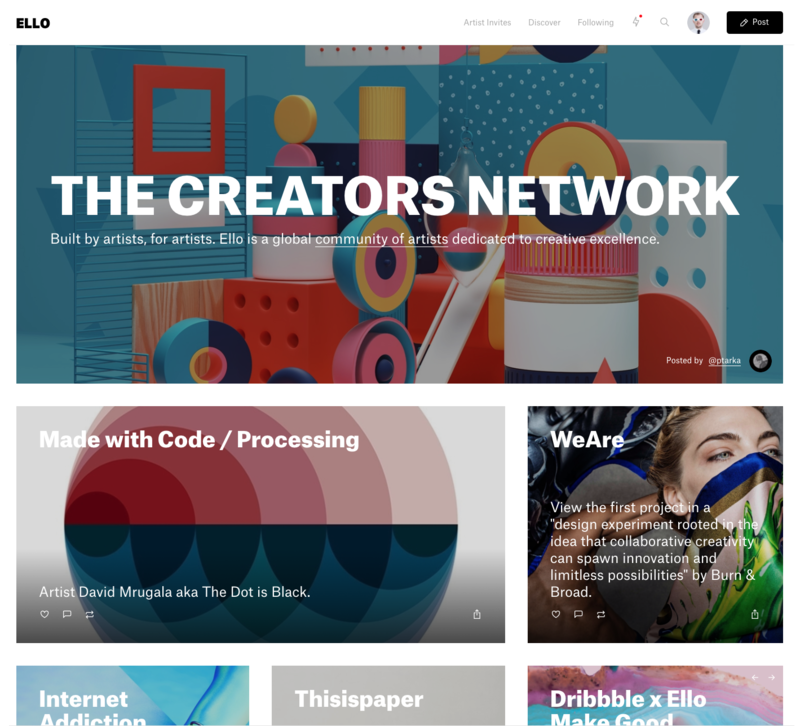 It also now calls itself “The Creators Network” and has teamed up with design platform Dribbble to help artists show off their work. This new directive for the company is aimed at helping ad agencies and others spot talented contributors and connect them to a network of creative types eager to show what they’re capable of. Instead of the stark and confusing layout that once was, visitors will now come upon something more akin to a digital magazine, chock-a-block with content and focused on the artists that contribute to the site. You’ll see a “Discover” section at the top of the home page. Click it and you’ll come to a page where you can dive deeper into art, photography, written works, illustration and a bunch of other types of creative outlets. You can then dive into individual artist portfolios from there. 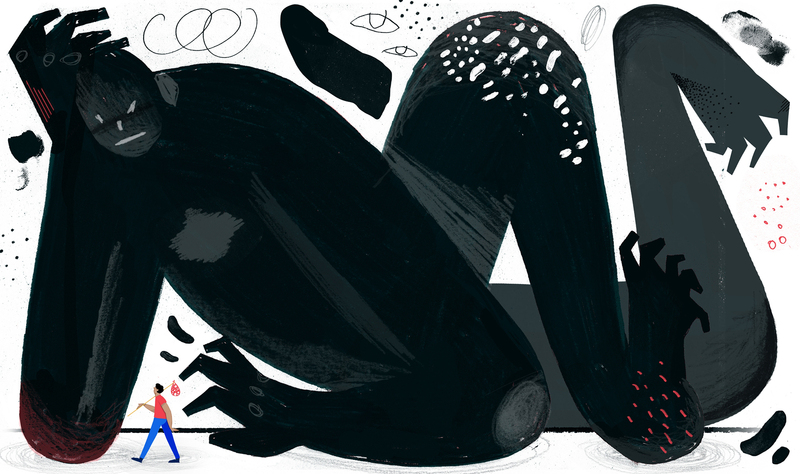 Thanks to this pivot, Berger now believes Ello is in a much healthier place. Berger couldn’t disclose who those investors might be for now but he did say he’s raising more cash (note: every startup ever is always raising). He did volunteer, however, that the site now has about 400,000 MAU’s so, while that number dwarfs in comparison to the millions Ello originally signed up, it’s not terrible. It’s also much more niche, with about 625,000 artists on the site. That’s the way Berger prefers it, anyway. “A lot of people thought we died and went away and the whole time we’ve been cultivating a really niche and creative community that’s gotten more focused as I’ve been able to enact my vision,” Berger said. Will this be the thing to shoot Ello back to its former glory? Maybe, maybe not. But it’s good to see a startup get real with itself and try again.